Search Engine Optimization (SEO), the strategic process used to improve a website’s visibility in search engines have undergone great researches and development in the past years. The industry has subjected to drastic changes in new-fangled inventions and technologies. These new changes expanded the SEO processes and helped professionals to introduce different strategies in digital marketing. If you are an individual engaged in doing SEO for your own websites or professionally working for an income, it’s time to refresh your knowledge of SEO. We can expect great strategic changes in SEO in the upcoming year since the industry is now very competitive. Have a glance at the factors that are going to touch SEO in 2018. Accelerated Mobile Pages (AMP): Using the framework called Accelerated Mobile Pages (AMP) Google experimented mobile search of websites. People use smartphones more and more these days to search Google. Making your website easy loading in mobile is going to be must to achieve high rank in SEO. Voice commands: People already started using voice commands for search queries. They prefer voice search because it enables quick and comfortable search than typing text. Thus, you should make your websites responsive to voice and enable to give answers. Al: Artificial Intelligence makes the searching more personal than ever before. Algorithms like Rank Brain use AI for providing relevant search results by understanding the content and context. We can expect the introduction of the search algorithm in SEO that will bring more interesting transformations in the near future. Social Media Optimization: Social media has a significant role today as well as in the future of SEO as majority people have accounts on Facebook, Twitter, etc. Employ the social media to encourage people to buy your product or services. This will lead your brand to gain top ranks in search. 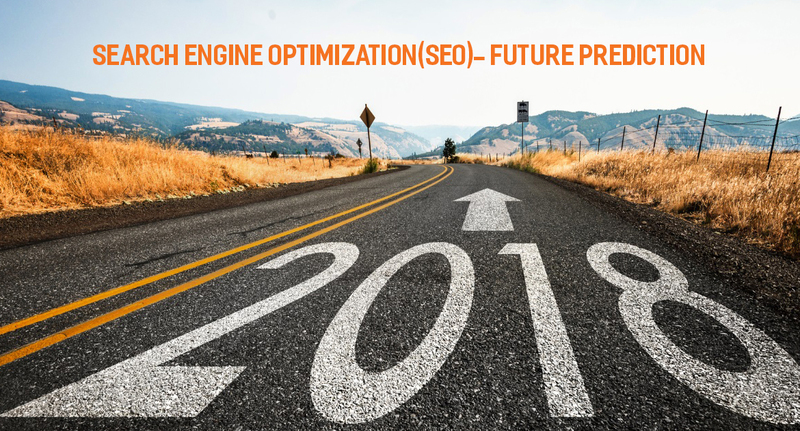 The SEO industry is rapidly changing and in 2018, the field is going to embrace a paradigm shift from prevailing strategies. Search Engine Optimization is very vulnerable in nature and can accept variations easily as per technologies. If you are in search of tricks to make your site up with SEO, try to shake hands-on time with new trends in 2018. An SEO course can help you know more about the current and future SEO strategies. If you are interested to spend your time for understanding SEO more technically, join Digiacharya, the best SEO Training Institute.